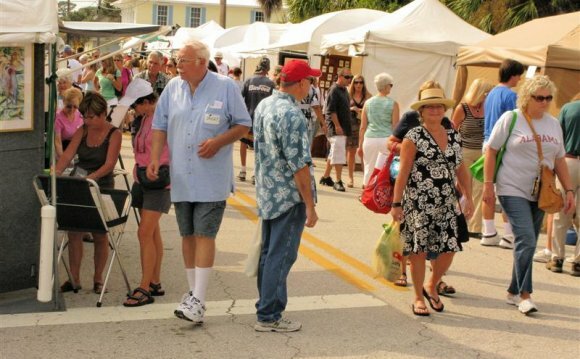 ArtWorks of Eau Gallie Fine Arts Festival is an extraordinary experience for the entire family. The community-oriented event features over 80 artists working en Plein Air. The unique requirement that artists create works as they exhibit or demonstrate their techniques makes this an extraordinary show for both artists and patrons. The monetary awards have increased steadily since ArtWorks’ inception in 1996 to over $25, 000. Sponsor purchase awards have also increased annually with $4, 000 awarded in last year’s ArtWorks. Simultaneous events occur at the Foosaner Art Museum and local galleries. ArtWorks is a "working artist" show. All artists must be prepared to demonstrate their methods of work. “En Plein Air” is a French expression that means “in open air.” During the mid 1800’s artists painted outdoors to get the benefit of natural light. ArtWorks Art Festival provides a unique experience for the public to view artists painting outdoors, as well as other artist/craftsmen demonstrating their expertise in order to expand our knowledge of what is involved in creating an artwork or craft object. Therefore, ArtWorks values the act of educating the public as much as providing outstanding artwork to be viewed. In addition to the awards given for excellence in art displayed at the festival, our show gives bonus awards for the best 2-D and 3-D demonstrators. The best demonstrator engages and educates the public in his/her demonstration.